My book manuscript is underunder advance contract for publication in the University of Pennsylvania Press’s Politics and Culture in Modern America series. To read a working version of the introduction, click here. I have presented my research at a variety of professional conferences, including the Organization of American Historians annual conference, the Business History Conference, and the Policy History Conference. I also have worked to disseminate my research in popular print and digital publications – including the New Republic, Salon, Jacobin, Dissent, and the Chronicle of Higher Education – where I have written about topics such as what George McGovern’s 1972 presidential campaign can tell us about progressive politics today and why the Democrats should place the needs of the black working class front-and-center when devising their platform. I have been interviewed about my research by the History News Network, the New York Times, the Thom Hartmann Show, and the Zero Hour. I also served as the lead researcher and organizer for a public history exhibit on Ann Arbor’s musical history for the University of Michigan’s bicentennial, titled “From Swing to Hip-Hop: A Photographic History of Musical Performance at the University of Michigan,” and I am currently working on an interactive digital history timeline of modern U.S. tax politics. I am also working on three article manuscripts. 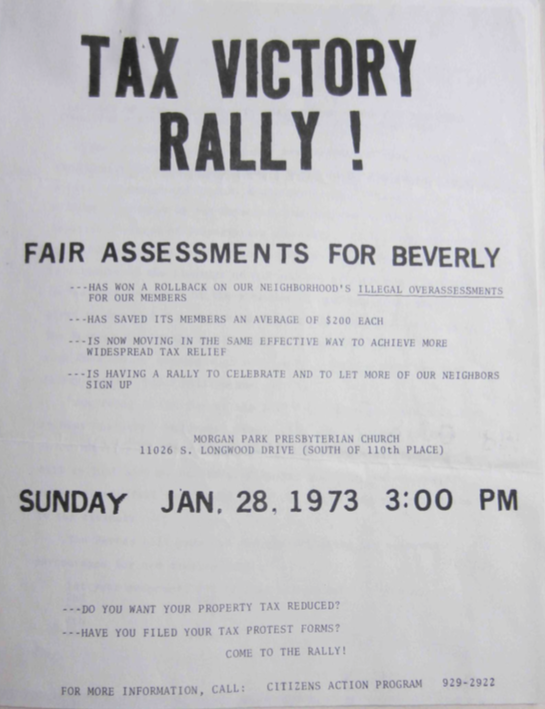 The first challenges the conventional narrative of the tax revolt by charting the rise of the grassroots tax left in the late-1960s from the diverse strands of the black freedom movement, organized labor, consumer activism, and community organizing. The second analyzes the conservative origins of state sales taxes in the 1930s. The third is a study of the relationship between tax progressivity and welfare state generosity at the state level. 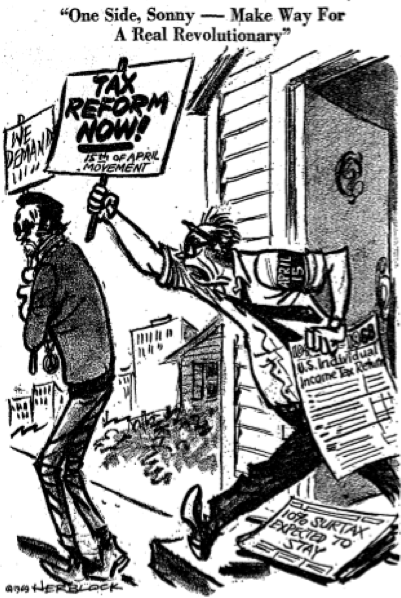 Finally, In the past year I have begun preliminary research for a new project, tentatively titled “Yesterday’s Gone: The New Democrats, the DLC, and the End of New Deal/Great Society Liberalism,” which seeks to explore the rise of modern centrist Democrats in the context of growing economic inequality and persistent racial divides. 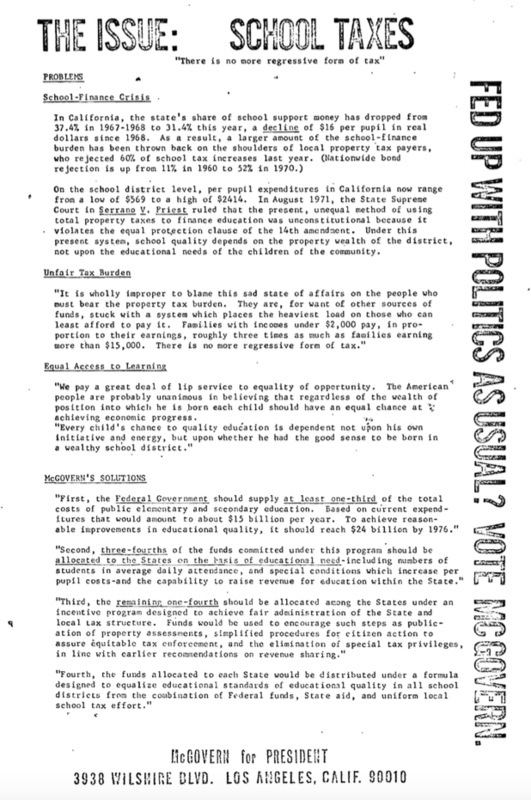 A popular article drawn from the early research for this project was published in Jacobin as “What Democrats Must Do.” Like “Inflated Hopes, Taxing Times,” I plan to ground “Yesterday’s Gone” in public opinion and economic data analysis and extensive archival research, which I will continue next summer with the assistance of a Cromwell Early Career Fellowship from the American Society for Legal History.